to the oh so yummy yarn sold at Quince and Co. 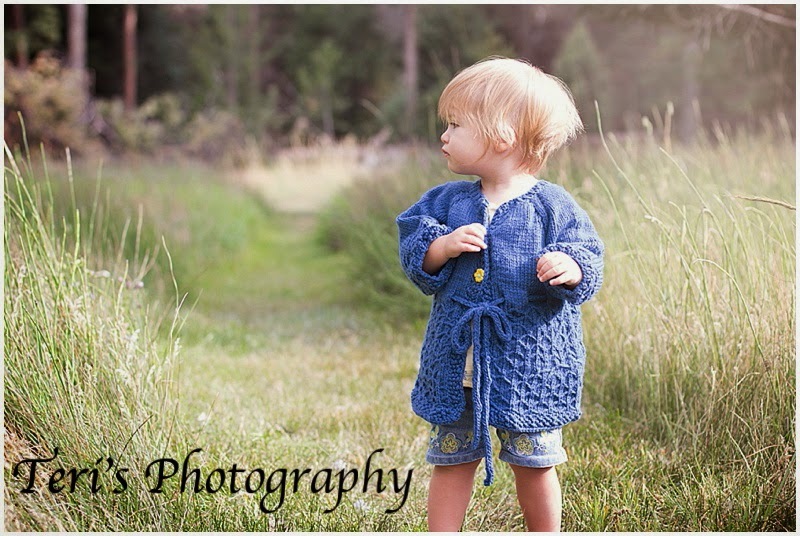 I had held this sweater as I needed to find my buttons and wait until she was walking so I could take her on a mini photo shoot! She was such a doll and let me do just as I liked with my camera and her beauty. I took her out just the two of us and we climbed and played. This is the first complete sweater I have knit and it was so much fun. 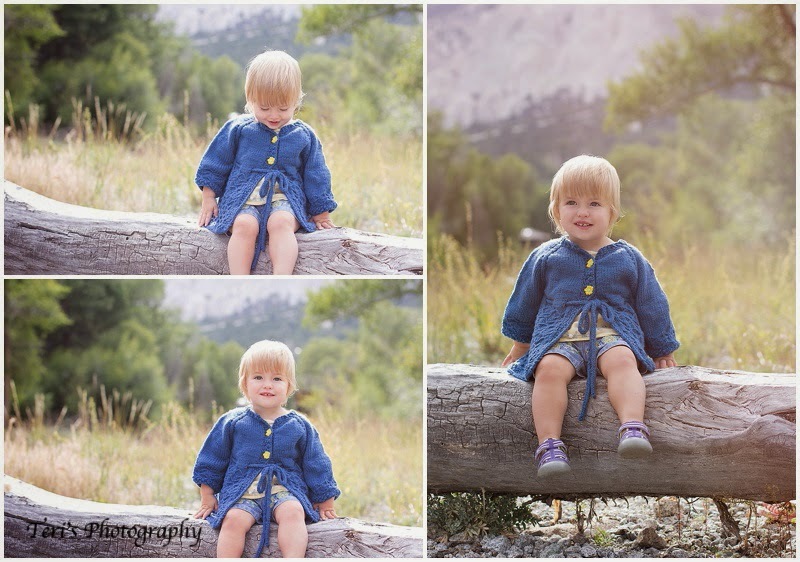 Of course the real fun is in the giving and being able to photograph this little one that I love so much! I am currently reading "Yarn Harlot the secret life of a knitter". It is so funny and I am loving it. Just a good non thinking and have fun book. The next book on my shelf is a thinker and maybe a can't sleep book so for now it is all about light and fun! 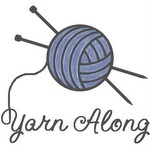 Linking up with Ginny's Yarn Along. She always has wonderful knits and great books. Oh dear, so cute! And I bet she loooooves those buttons! 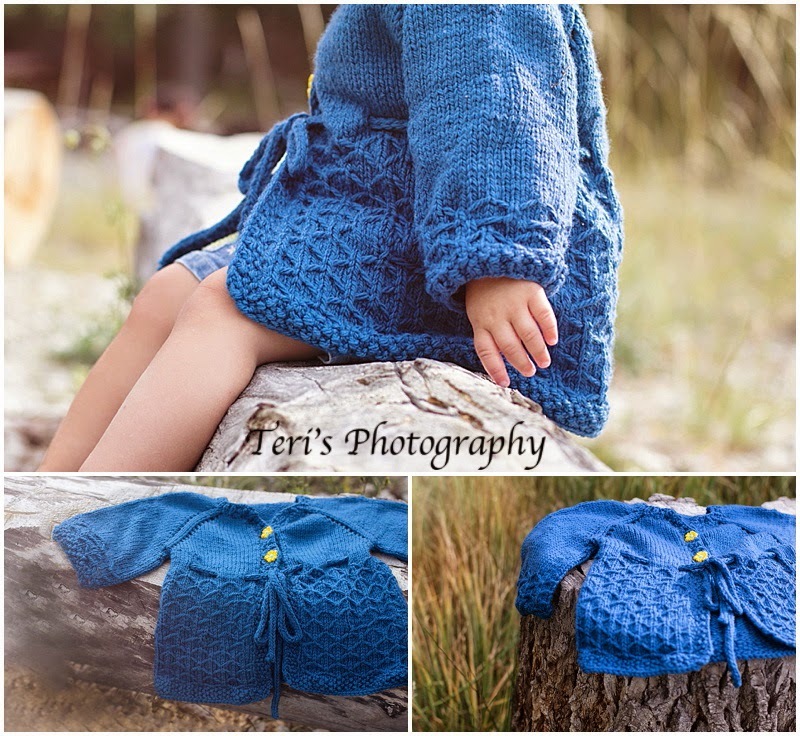 Gorgeous cardi- love the picture- all so beautiful!